The ingenious drop-in design of the Auburn bathtub reflects the architectural marvel of an infinity pool. Striking and memorable, Hydro Systems aimed to echo similar qualities and functionalities for a bathroom locale. Whether you opt for the rectangular guest tub or the extra-generous master model, the Auburn invites you to indulge in a state of pure relaxation. 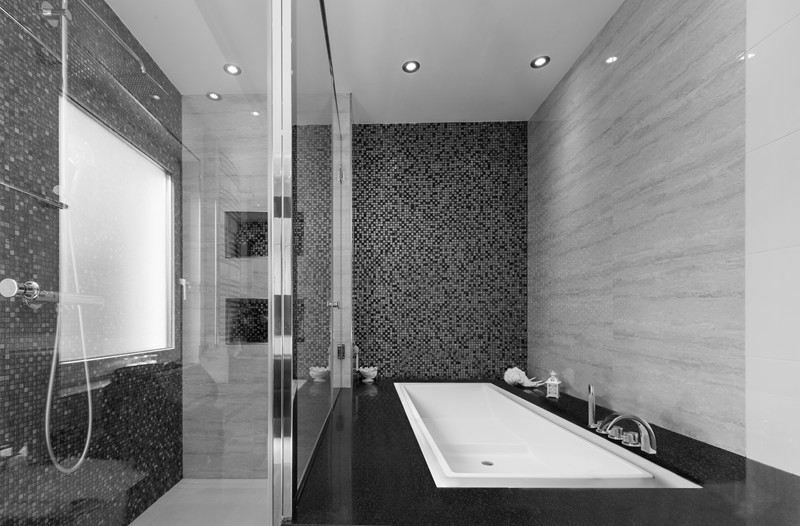 Bathtub Size: 80" x 43" x 20"
Bathtub Size: 80" x 66" x 20"
Hydro Systems' relentless pursuit of perfection has led them to hone and test their processes to proudly introduce HydroLuxe SS™, the evolution of Solid Surface bathtubs. Representing the latest in eco-friendly technology, this range of seamless, solid-surface bathtubs is constructed from a blend of ground natural minerals and the best in man-made composites. The prolite system we add is uniquely packed with particles, making it a standout in the marketplace when it comes to efficiency and bonding strength. This hybrid material undergoes the transformation from liquid to solid, resulting in a bathtub that is 100% solid surface all the way through, with zero hollow or unfilled areas. The perfectly developed HydroLuxe SS™ blend brings even more durability to the Hydro Systems standard.